Deep under the Pacific ocean lies the fabled Marinara Trench, a fissure of such incredible pressure and heat that the marinara that flows from it is the purest in the world. Careless shrimp that pass too close to the trench are instantly cooked to perfect temperature, and are a natural complement for the sauce. 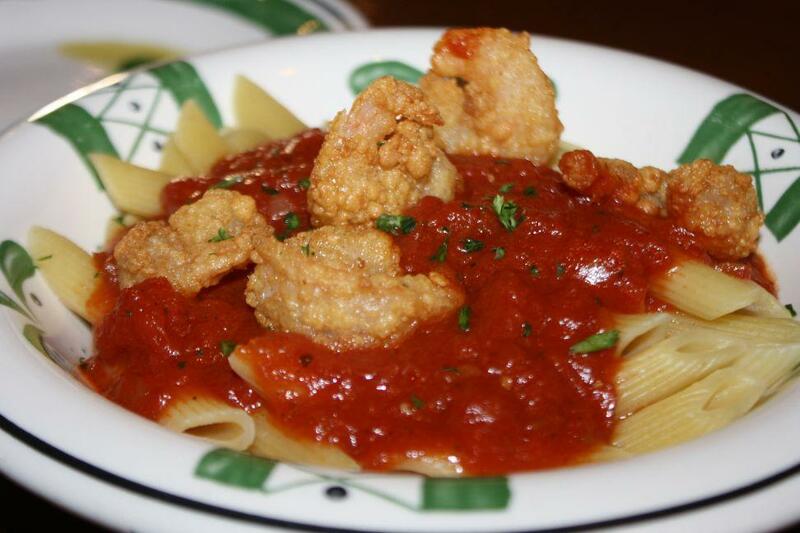 Pictured here is Marinara Trench - 20,000 leagues beyond any other pasta!